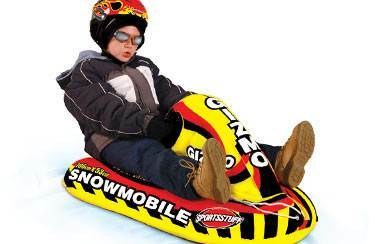 Get ready for a whole new sledding experience with the Gizmo Snowmobile. 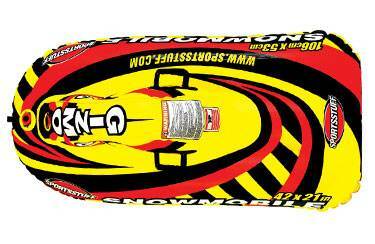 This exclusive snowmobile shaped design features a slick heavy-duty PVC construction and directional Swiftex™ bottom so you can ride straight in any direction you choose. The Safety Valve makes inflation fast and easy and the molded PVC handles with plenty of mitten room allow steering and holding on tight. 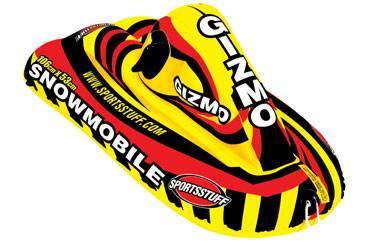 Simply grab on and ride with the Gizmo!